Robic has been manufacturing and selling the worldas finest handheld timers, stopwatches since 1986. Pit Stop USA is The Online Motorsports Superstore! Robic is the best choice for those who seek to record and analyze performance with precision, reliability and versatility. 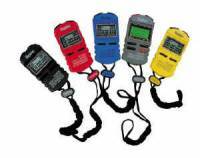 Robic has been manufacturing and selling the worlds finest handheld timers, stopwatches and pedometers since 1986. In that time, Robic products have become recognized as the brands of choice for many millions of people seeking the best in quality and reliability for their timing needs. Whether basic or advanced, there is a RobicA product ideally suited to satisfy your timing, assessment or measurement needs. We offer Robic HW30 Heat And Humidity Stopwatch combines a professional level stopwatch with Temperature, Humidity and Heat Index readings. RobicA SC-501 Multi-Mode Stopwatch offers single event, lap or split timing, 1/1000 second precision and large, easy to read display with big numbers. Robic SC-554 30 Memory Speed Timer Multi-mode chronograph with Automatic lap counter and Stroke rate calculator for rowing and swimming. A perfect blend of speed and chronograph functions. Robic SC-888 Triple Timer...Like Having Three Timers At Once!! The Worlds Best Ever !! Times up to three competitors at once...up to 450 memory recall. Robic SC-808 200 Dual Memory Chrono Powerful and precise analyzes performance in several ways with a comprehensive array of advanced timing functions. Robic SC-505 Five Memory Chronograph Ultra-precise, multi-mode stopwatch with memory recall and lap counter. RobicA SC-507 Stopwatch With EL Backlight. 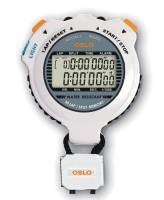 A professional quality stopwatch for use anytime...DAY or NIGHT, low light or no light. Robic 6-Pack Stopwatch Safety Case Keep your RobicA stopwatches safe, secure and dry...all in one place at one time. Hard Shell carrying and storage case holds up to 6 RobicA timers. Soft foam padding protects from shocks and bumps. Double latch sliding closures keep contents safe. We feature RobicA Stopwatches at low everyday prices!